Domestic conflicts within a family are not uncommon. Even more one requires legal advice for issues such as adoption. Family lawyers are the ones that have the knowledge on legal matters associated with a family. 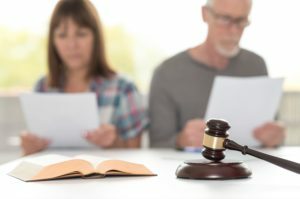 A Family law attorney will certainly be a litigator along with a negotiator for the legal issues occurring within a family. Family law is a domain of law practice that contains legal issues related to a family and domestic relationship. These concerns might be associated with divorce, child custody, paternity, adoption, surrogacy, child abuse, child abduction, alimony, marital relationship and also civil unions. This list is not limited and might consist of more issues depending on the situations as well as jurisdiction. There are likewise special family courts. In these courts, legal disputes related to family law is heard. Why People Hire A Family Lawyer? As explained family law is a domain by itself which includes all the legal laws and also policy in domestic issues. A family lawyer is a professional that knows what the law states for legal issues in a family. They can be hired for any type of legal advice to plan out an action in family issues as per the law requires. Unfortunately, family law attorneys are in high demand and lawyers are making this a big part of the law practice. More and more family disputes are happening these days. Divorces are not uncommon and play a big part in our society today. The is also a big increase in the fight for alimony on both sides with more men staying at home and taking care of the household. Child custody is one of the big prolonged issues that occur when children are involved in the divorce. This can continue until the kids are 18 years old. In addition this is an extremely specialized field from the perspective of the attorney. There will certainly be a great deal of effort involved in creating these skills, required for this field. Besides having experience and being an expert family law the legal lawyer must be an exceptional communicator and negotiator. What Is Required From A Family Lawyer? A family law attorney functions as an expert on legal issues within the family. Besides explaining the ins and outs of the legal aspects, the attorney’s role may also include being a consultant. The attorney can perform better if they understand the stress and tribulations of what the clients are experiencing during this difficult period. Here are some tips to look for in a lawyer. Apart from law details, there are emotions of people involved which the attorney must be aware of and tread carefully. It may be possible to make both parties comforted without discussing legal matters. The lawyer should try their best to avoid negative outcomes for anybody within the heat of the moment. Several of these traits are highly preferable for all those who practice law. If you have an interest in talking with a family law attorney, see what the Law Office of John J Donohoe can do for you.